We had an outpouring of response to Parts I and II of this series. In Part III of the podcast, we directly explain some difficult Scriptures that at first glance seem to support a burning, eternal hellfire. Watch this short vlog and then grab your Bible and listen to the full podcast of the same name. If as we discussed in Parts 1 of this series, there is no burning eternal torture in hell, then why does the New Testament hell talk about "unquenchable fires" and "smoke of torment"? It seems so plain at first reading. In this second of 3 parts, we talk about the what these mean in context. 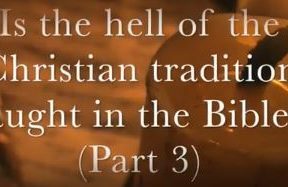 Part 2 of this 3-part vlog continues with reviewing history and Scripture to show that there is no burning hell of eternal torture. Watch this short video then listen to the full podcast of the same name. The image of "hellfire" has stirred dark imaginations and scared people for centuries. What if it could be proven that what many churches have taught for centuries is one of the greatest misrepresentations of God that the world has ever seen? For many centuries the churches have taught that when sinners die they face a punishment of eternal torment and torture in hell. Reading some of the descriptions of how this intense and endless torture works will make your skin crawl and your stomach turn. Yet, those who adhere to such teaching are firm in their belief that it is thoroughly biblical, and therefore entirely in line with God and His plan. But is it? What if this teaching is NOT of God but rather of Satan? 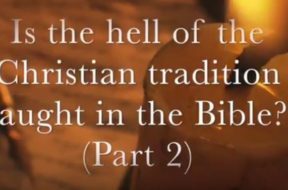 Watch this short vlog then listen to the podcast of the same name for the scriptural proof and historical evidence behind our thoughts. 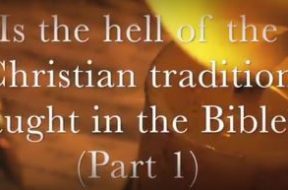 On this program, we will embark on Part III of our series that examines the evidence on hellfire in Scripture. 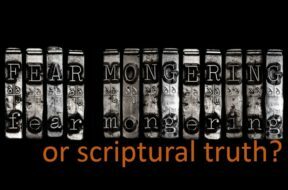 We will look at some of the really difficult and seemingly contradictory Scriptures that talk about the condition of those who were evil in this life. Do they go to hell? Is there fire and torment in hell? VIDEO: CQ BIBLE 101 – What’s the Truth About Hell? 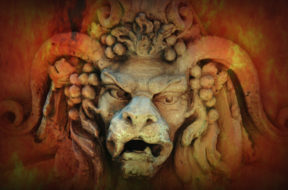 Does the Bible really teach that Hell is a place of torment? Will the majority of the human race really burn for all eternity? Find out what the Bible actually says about hell. You might be pleasantly surprised..
Several weeks ago we began to talk about the destiny of sinners as described in the Bible. In Part I of our series, we looked at the biblical phrase “weeping and gnashing of teeth” - who it applied to and when. We found out that it really has nothing at all to do with any kind of eternal punishment. In Part II, we look at an even more pointed biblical phrase – “Hellfire.” Where does it come from, how is it used and is it referring to eternal torment and torture? Stay with us! 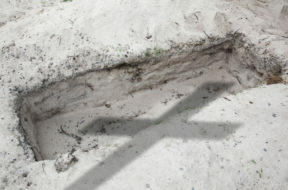 Christianity is all about salvation in Christ Jesus, but it is also about judgment and accountability for wrongdoing. All Christians believe that Jesus clearly addressed both the salvation and judgment, but we are widely divided on what he meant by his words. Did Jesus teach that all who do not accept him are doomed to eternity in the ravaging and torturous fires of an ever burning hell or did Jesus teach that the ultimate consequence for those who do not either now or later accept him is eternal death?